Summer camp is not just for children anymore. Letting your dog go to “camp” has a lifelong impact on your dog and your family. Our 2-week Board & Train program is just like a “camp” for your dog: they learn new skills, become more confident and have fun too! Many family dogs lead sedentary lifestyles, snoozing away while their pet-parents are away at work. Or, they may get into trouble by inventing their own “fun” activities that creates a mess in the house. During each day at our Board & Train program, our campers practice obedience with our certified trainers for 3 – 4 hours a day plus breaks to release energy and go to the bathroom. This combination of mental and physical stimulation have a long-lasting positive impact and is key for a healthy, happy, dog. Dogs that are insecure of themselves may engage in reactive or aggressive behavior as a protective measure. Consistent, daily obedience training with crystal clear communication from a dedicated handler will teach your dog to be a calm, confident, well-behaved member of society. During their 2-week Board & Train stay, dogs have one primary OffleashK9 trainer but will also interact with other dog trainers from our team. The dogs learn that no matter who gives the command, the obedience expectation is the same. We then spend hours with the dog’s owners to teach them those same consistent communication methods. This helps the owner become a better handler which in turn strengthen the bond with their dog. Our 2-week Board & Train program is focused on practical, everyday obedience. We start with the basic commands such as “sit” and “down”. We then advance to other more advanced commands; “place” for example, when the dog will sit or jump on any object you point to on command and stay there until released. Throughout the weeks, we work towards mastering the off-leash heel command. See the list of all commands taught in the program here. The program comes with a lifetime guarantee. Should our campers or their owners ever need support, we give free refresher lessons for the life of the dog. Social skills are just as important as obedience training. Our goal is for campers to also have proper manners and be fully socialized to interact with people and other dogs with ease. 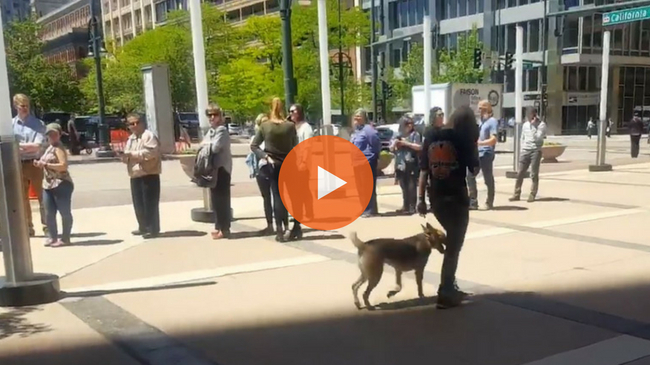 To practice social skills, we often bring client dogs to public parks, downtown areas where people are hurrying by, even Home Depot where shoppers move around. We also practice dog-to-dog socialization with other campers. When a dog is ready, we may even take him to a local dog park to practice skills in an outdoor highly distracted environment. After their two-week stay, our campers are expected to act as well-behaved members of society, in any situation. Do you have a vacation planned or want to go someplace where dogs are not allowed? Instead of simply boarding your dog at a kennel, imagine dropping off your dog and two weeks later picking up a dog that is now trained to be 100% obedient outside, off-leash with distractions! 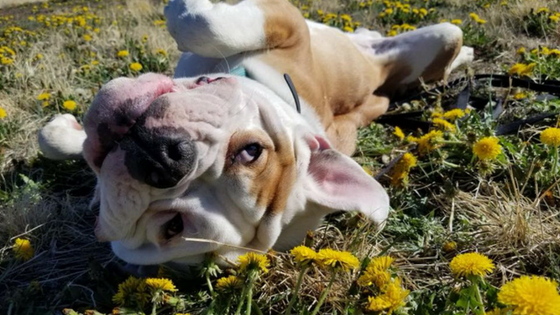 Our trainers send regular text updates with photos and videos of their dog’s progress so owners can relax knowing their pups are in good hands. When owners return, they are met with tailwags and petkisses from a dog that is transformed into a calm, obedient family-member. Are You Ready To Bring Your Dog To “Camp”? Our 2-week Board and Train “camps” are filling up for the summer. Only limited spots are available! Eleven out of Ten Stars!!!! Read more testimonials from hundreds of satisfied clients here. Our client’s dogs will be trained to have the same level of obedience as most police/military working dogs. 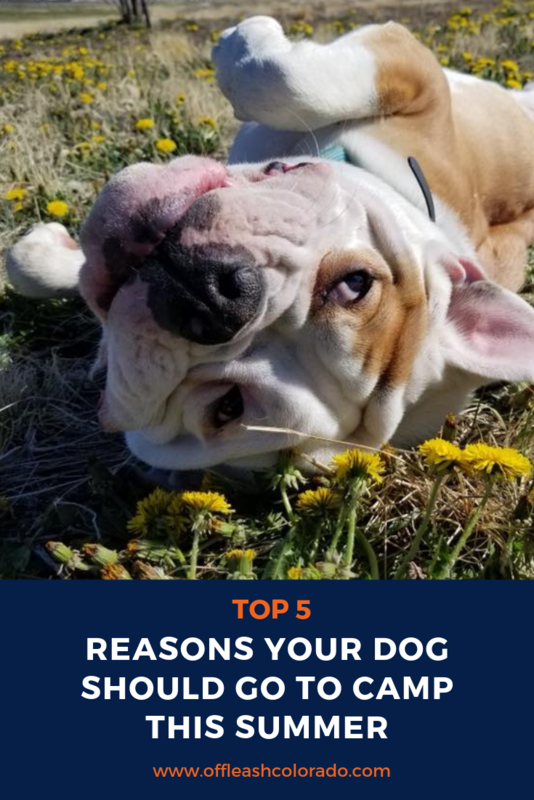 This style of training encompasses the core beliefs and philosophy of consistency, fairness, and crystal clear communication that will turn any dog into a well-behaved member of society in any situation. 100% Obedience, 100% Off-Leash! Dogs are never too old, too fat or too slow, to learn using our dog training methods. Off-Leash K9 Training can also train dogs with disabilities to overcome them and be confident, obedient pups! Aggression or confidence issues? 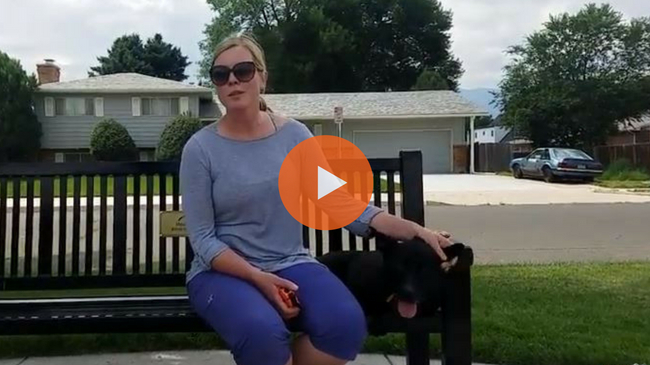 Contact us – Off-Leash K9 Training can help! How much is your two week training? We recently adopted 2 dogs from new Mexico and are having some issues with aggression and would like ro have calmer dogs and be able to have rhem come when they run away.